Syzygium australe 'Resilience' is a Lilly Pilly variety and the perfect Australian native plant with its attractive compact ruffled foliage bearing white fluffy flowers followed by dark red berries. The leaves flush with copper/orange new growth and change to a glossy deep green as they age. Pest and disease resistant - Resistant to psyllid and most other pest and diseases. 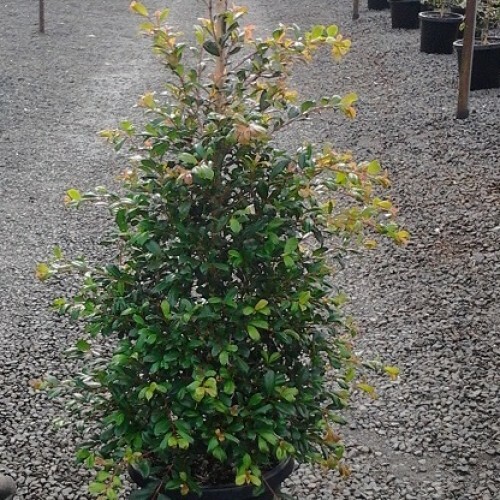 Growth Size: 4-5m h x 1.5m w.
Perfect for: Hedging, screening, topiary.